Most of us use some kind of vegetable oil for cooking. If you are using more expensive extra virgin olive oil only, you may not be interested in this post. But, if you use less expensive oils, you know, they are mostly sold in plastic bottles. These bottles have several significant cons, when it goes about health issues. According to scientists, there is no 100 percent safe plastic to use for foods, as all plastics have a potential of getting its toxic particles into the foods, they store. 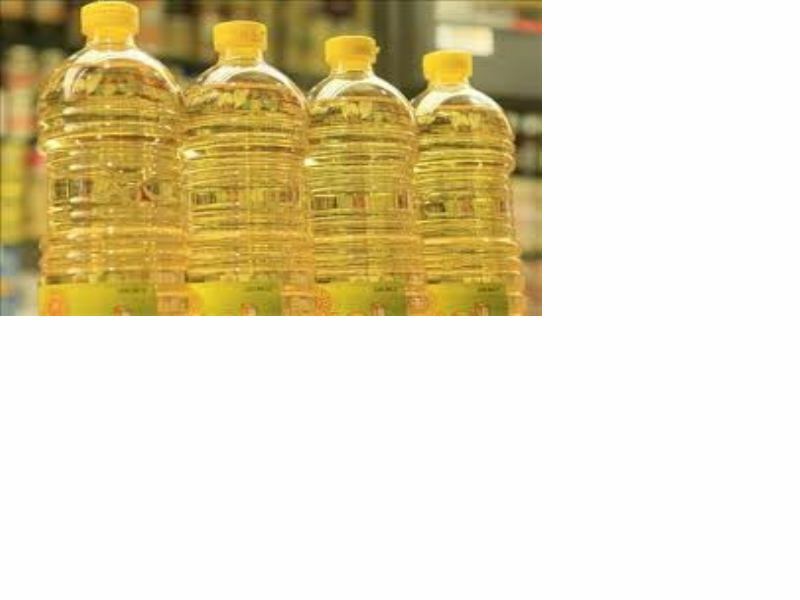 Vegetable oil is a highly active environment for plastic, especially if you set your veggie oil bottle on the window shelf or somewhere, where sun rays come in direct contact with the bottle and oil in it. For one, they stimulate oxidation processes in vegetable oil and it gets spoiled fast or loses its vitamins. Besides, sun exposure makes plastic toxic. The solution for this housekeeping problem is simple. You can get an old olive oil bottle, decorate it and use it for storing your vegetable oil. remember, I am not good at taking pics. This is the same bottle. It was an olive oil bottle. I painted it, using crackle technique and decoupaged it with a napkin. I also covered it up with polish to prevent decoupage damage. Now, as soon as I buy vegetable oil, I pour it into this glass bottle. When you shop for vegetable oil, check out its issue date. Most oils have pretty long shelf life (up to 1 year). Try to purchase only freshly poured vegetable oil. This way, it does not stay long in plastic and does not get toxic. This entry was posted in Tips On Clean House and tagged bottle, busy moms, cooking, cooking tips, crafts, creative ideas, creative tips, creativity, decoupage, eco friendly, food, green living, handmade, health, healthy food oil, healthy housekeeping, healthy living, home decor, home design, housekeeping, mom help, napkin, polish, tips for moms, toxic plastic, vegetable oil. Bookmark the permalink.